Today I stepped outside of my comfort zone and tried something new: I visited a County Courthouse. I have been doing genealogy research for about 10 years now, but have never visited a courthouse. 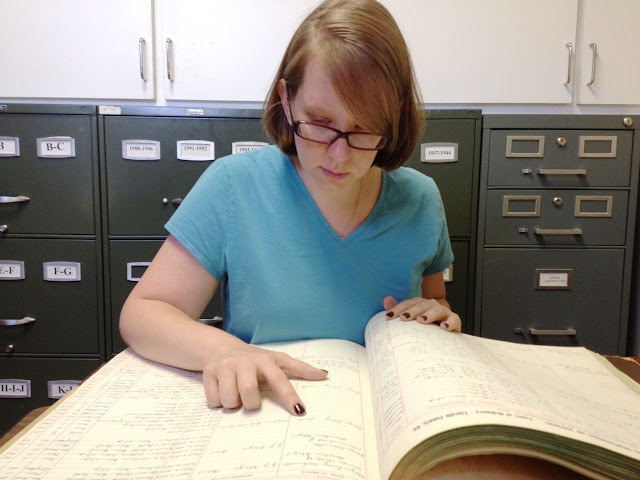 In part, this is because much of the historic documents housed there have been microfilmed and are available at the Georgia Archive. On the other hand, I haven't done it because I get nervous about trying new things. 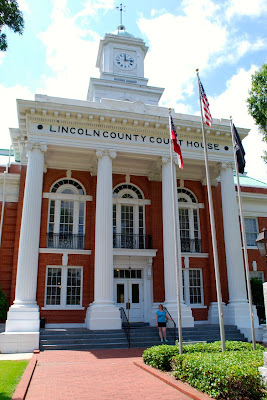 But I decided to take the plunge and today I visited the Lincoln County Courthouse. The courthouse visit was actually stop two in a three part trip that also included a cemetery and a library. I headed out with my partner in genealogy (hi Mom!) and after a two hour drive we arrived at the cemetery. Only a short while later we were at the courthouse. Lincoln County, Georgia is extremely rural and their website did not provide much information regarding their records. Add to the fact that I didn't plan to go until 6pm the previous day and could thus not call for information, I was going in blind. Que magical music. There were also another 50 or so volumes stored under the counter in the middle of the room, as well a numerous file cabinets that we did not have access to. The room itself was pretty tight. 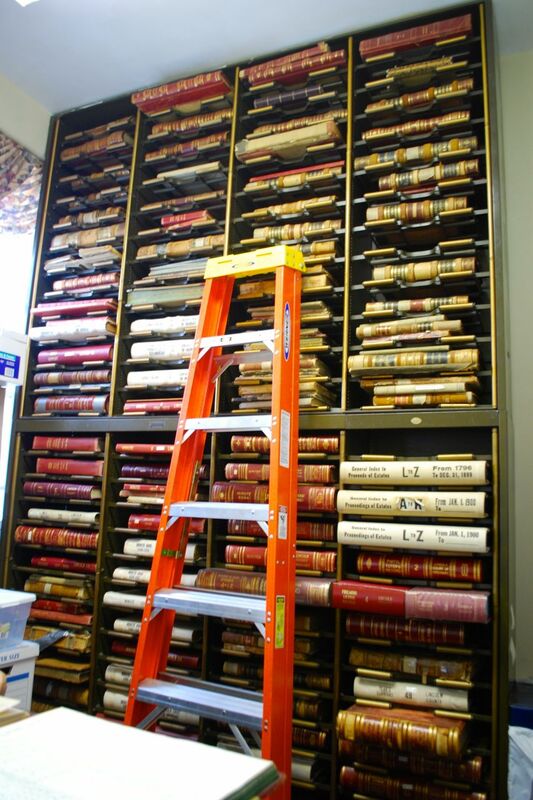 You can judge the width of the bookcase by comparing it to the ladder. Add about two feet to the right, and that was the width of the room. The room was only about 12 feet long with a counter in the middle. To say it was cramped was putting it mildly. There was just enough space in the room to reach all most of the records and review them while standing at the counter. But really, what genealogist wouldn't give up comfort for more records? My goal for the day was to research Mary Glaze, my 5x Great Grandmother. I don't know much about her, including her maiden name, and hoped to connect her to another relative. I didn't have too much luck, but I did find out some folks who were not her parents. 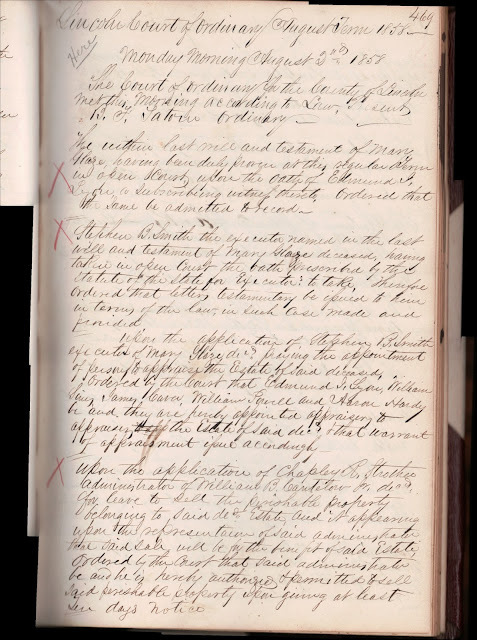 I did get a copy of her will, inventory and appraisements, and notes in minute books. Pretty darn good! I need to work on making sure that I get all of my edges, but I didn't miss any of the text with my scans. One thing that is important though: after an hour and a half of almost straight scanning, I started getting a low battery warning. I need to remember to take extra batteries next time. I also really enjoyed looking through the books, as opposed to scanning microfilm. First off, I'm holding a book that someone wrote in 200 years ago! They are letting me touch this! History in my hands! Exclamation marks cannot explain the happy! Secondly: although some microfilm readers have computer scanners attached which is very helpful, it is about a million times faster to look through a book than it is to scan through a microfilm. Is your record on page 400? Wouldn't you rather grab a handful of pages and skip right to it rather than scroll through 400 frames of microfilm (especially on a hand-crank machine?). All things considered, I didn't learn anything new from this tip, though I did get some nifty scans and some supporting documents. The most important part of today was the experience itself. I now feel more confident about visiting county courthouses and have quite a few that I want to visit sooner rather than later. Awesome! The sight of those really old books is exhilarating.